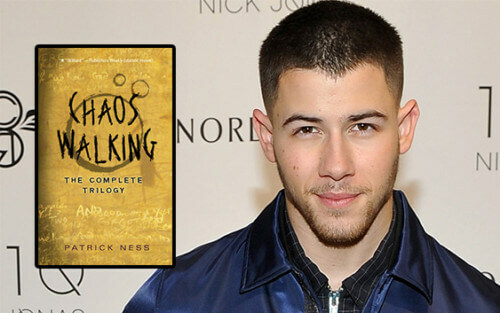 American actor and popstar Nick Jonas has joined Tom Holland and Daisy Ridley in Doug Liman’s silver-screen adaptation of “Chaos Walking”, a novel collection by Patrick Ness. The post-apocalyptic thriller, set on a distant planet almost entirely absent of women following the outbreak of a killer virus, is being developed by Lionsgate, with Jonas taking the role of Davy Prentiss, Jr., a character jealous of Holland’s Todd Hewitt because of the attention Hewitt gets from his father (set to be played by ‘Hannibal’ and Doctor Strange star Mads Mikkelsen). Due for release on March 1st 2019, Chaos Walking will work from a script adapted by critically acclaimed screenwriter Charlie Kaufman (Being John Malkovich; Adaptation; Eternal Sunshine of the Spotless Mind) as well as the original novel’s author Patrick Ness, Lindsey Beer, Gary Spinelli and John Lee Hancock. Demián Bichir and Kurt Sutter have also been confirmed as cast members. The movie will be produced by Allison Shearmur (The Hunger Games Series; Rogue One: A Star Wars Story), Erwin Stoff (The Matrix; Edge of Tomorrow) and Doug Davison (The Departed; How To Train Your Dragon).